Whether you need pain relief or are looking to improve your general wellbeing, taking time out of your busy schedule to have a massage has many benefits. 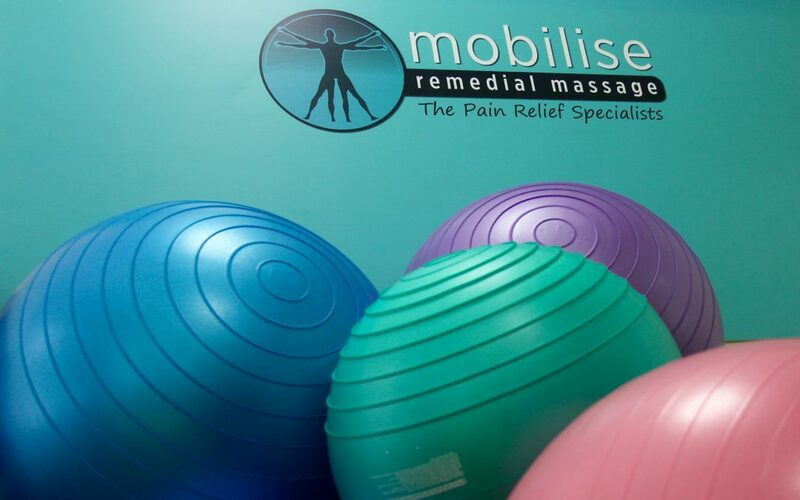 Here at Mobilise Remedial Massage we specialise in providing treatments to reduce the pain you might be experiencing and our service starts with an initial consultation where our experienced therapist will gain an understanding of your issue and goals, and devise an individual treatment plan. Following on from your treatment, we will also advise on what you can do to improve the healing in your own home. Through a combination of soft and deep tissue massage (as well as other more advanced techniques), our therapists can de-sensitise your pain related to musculoskeletal conditions. As well, they will target the causes of your pain, and correct the structural, postural, ergonomic or pathological stimuli that creates it. Remedial massage is not just a solution to assist with present problems but can be used as a preventative measure for the future. It can assist your muscle health in many ways, some of which include reducing pain and stiffness, increasing flexibility and strength, and improve posture. Massage can help down-regulate the autonomic nervous system responses to stress. As well as helping to reduce pain (that increases stress and anxiety), massage can help decrease heart rate, blood pressure, and cortisol levels. Studies have shown stress responses reduce after massage treatments. Myotherapy and Remedial Massage can stimulate the neural system in a number of ways. When using pre-competition sports massage, it can stimulate the muscles and prepare them for exercise. When using it as a form of relaxation it can stimulate the autonomic nervous system, changing the state from “flight or fight” to “rest and digest”, calming down the body. Remedial Massage can assist in joint healing after injury, increasing joint range of motion (giving you more freedom of movement and less stiffness) and boosting joint strength through rehabilitation exercises and plans. We are able to offer myotherapy and remedial massages for a variety of problems such as neck, muscle or joint pain and repetitive stress injuries. We also have specialists who can provide a sports massage whether you want relief from a particular injury or regular massages to help improve performance and reduce the risk of picking up an injury. Many structures in or around the cervical spine can contribute to headaches and migraine. Chronic muscle spasm, facet joint dysfunction, osteoarthritic joints, disc bulge or even jaw issues may cause ongoing headaches. Our Bachelor Degree qualified Myotherapists can assess the causes of your pain, and address them using massage, neural and joint techniques, as well as teaching you how to keep the headaches away. If you feel the time has come to reduce your aches, pains and injuries with a remedial massage, come and see us at Mobilise Remedial Massage in Toowong where we can design an individual treatment plan for you, or BOOK ONLINE NOW.